Are you looking to cry about the 2018 Golden Globes? Cool. 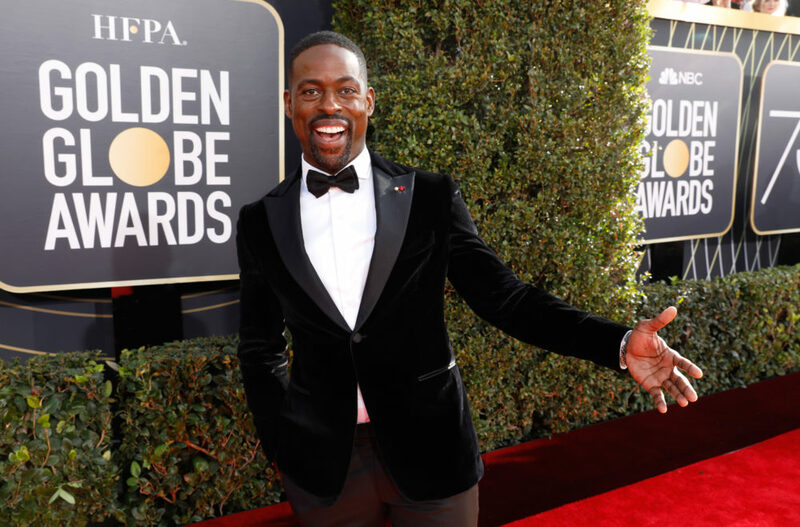 Because Sterling K. Brown just took him another award for his stunning portrayal of Randall Pearson on NBC’s This Is Us. This is not the first time Brown has won an award for his role on the show, and hopefully it will not be the last. Taking to the Golden Globes stage, Brown once again gave a moving and empowered acceptance speech. You should stop what you’re doing and read it, ASAP. But there’s something else important here. Brown just became the first black person ever to win the award for Best Actor in a Television Series – Drama. Ever. That’s our Sterling K. Brown. He did that. Instead of shouting any expletive on the stage, Brown shouted, “OPRAH!” and, like, honestly same. From there, he launched into a speech where he thanked his wife and promised to take his children to school in the morning. It’s how he ended the speech, though, that’s really the most touching and powerful. He thanks the creator of This Is Us for giving him a role where he could really be appreciated. "I want to thank my [This Is Us] cast, as we take turns leading and supporting one another. To my network NBC...but also I want to thank [series creator] Dan Fogelman. I've benefited from colorblind casting [in the past]. But Dan, you wrote a role for a black man, that could only be played a black man. What I appreciate so much about this [award] is that I'm being seen for who I am, and I'm being appreciated for who I am. That makes it harder to dismiss me." Sterling K. Brown can now take home this most recent award and put it alongside his Emmy for Randall AND his Emmy for his portrayal of Chris Darden in The People vs. O.J. Simpson.